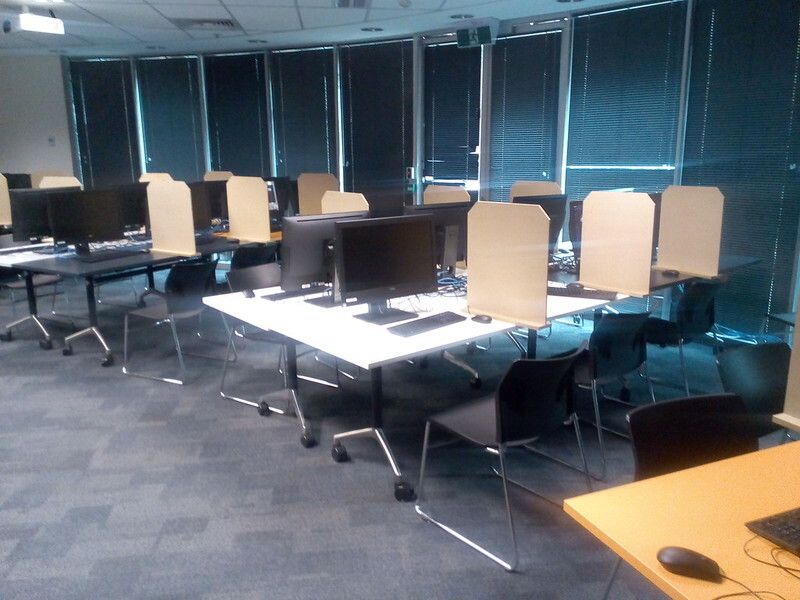 At the end of each semester, the Research School of Computer Science at the Australian National University (ANU) sets up as temporary computer based examination rooms. Computer labs are already equipped with desktop computers, tutorial rooms have all-in-one desktop computers added to the existing movable desks. Students own devices (BYOD) are not used, as advanced computing students have the skills to circumvent the restricted access controls on such devices. Two rows of desks are arranged so that students can sit in two facing rows. Six all-in-one desktop PCs are placed in two rows on the desks. The computer screens are large enough to prevent the student seeing the work of the student opposite. 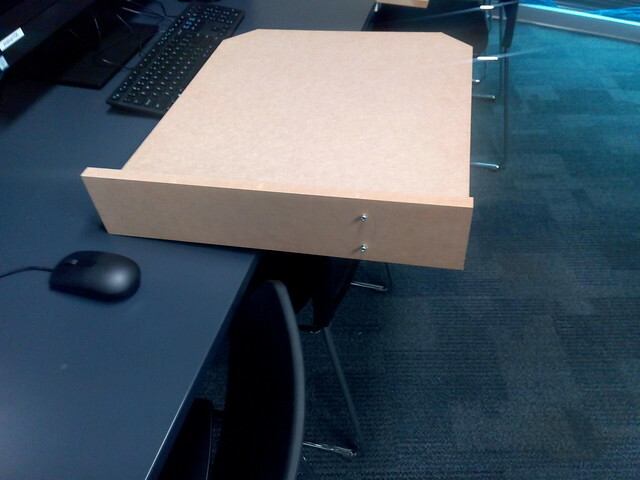 Particleboard screens are placed on the desks, between each two students. The screens are self standing, and protrude about 150 mm off the desk, to prevent the student seeing their neighbor's work. Two screw-heads underneath the screen base prevent it being pushed further onto the desk. The screens were designed by Bob Edwards.